Summary : At the fragile intersection between sentimentality and shades of film noir, stands Sathuranga Vettai, a movie about a team of con-men spearheaded by a sterling performance from Natty. 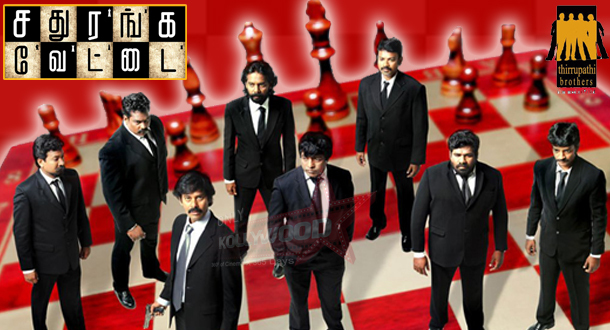 Sathuranga Vettai is truly more than just a con movie. It’s about the quest for belongingness, the inter-class divide, the struggle for acceptance and survival. It is about celebrating love in the middle of war. Cast : Natraj, Ishara, Ilavarasu, Ponvannan, Dharani, Chendi, Ramachandran, Valavan, Senthil, Kumaresan, Vetri, Sathya, Venkatesh. 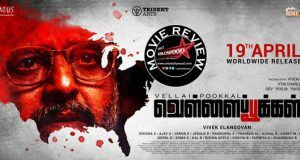 At the fragile intersection between sentimentality and shades of film noir, stands Sathuranga Vettai, a movie about a team of con-men spearheaded by a sterling performance from Natarajan Subramaniam fondly called by film fraternity as Natty. It is all about giddy joy of story-telling, earthy sense of humor, rollicking score and a little melodramatic too. It is a movie of six episodes constructed skilfully and executed with an invigorating spirit. Natty as a con artist has given an outstanding performance. His dialogue delivery, expressions and body language are flawless and evocative. His character is etched beautifully that he looks cleverly pertinent as a con man. His monologue in the film’s last con job (rice pulling) is first-rate and epic. 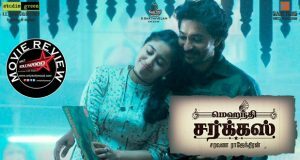 The six episodes – snake charming, emu farming, MLM scheme, rice pulling, the redemption of Natty and another Ponzi scheme are very relatable and in a sense, Sathuranga Vettai is a rock solid B-movie which has every potential to keep the cash registers ringing in the box-office for the upcoming days. The first half is a hilarious riot of masterly staged long cons, though not intellectually productive. It is a sumptuous concoction of film noir blues, greens and reds in right proportions. It makes us commit with the characters and root for them unknowingly. Few minutes into the second half, one feels that it’s a totally different film from what we have seen in the first half. 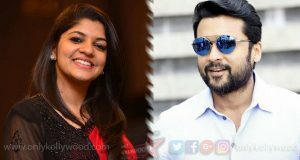 But, the melodramatic portions in the film are not unbearable and over-the-top, Vinoth has survived this acid-test successfully, which is actually the film’s success too. The film is technically no less. Sean Roldan’s score is innovative, rollicking and deserves more than a mention. His choice of instruments for long-familiar, old-fashioned scenes are highly commendable and elevating. Cinematographer KG Venkatesh’s frames has recorded the atmosphere well. The lengthy take which leads to the interval could easily be the shot of the movie. Perfect launchpad for Manobala’s production house and the winning streak continues for Thirupathi Brothers if you leave out Inam which was pulled back from theaters fearing threats from lynch-mobs. Sathuranga Vettai is truly more than just a con movie. It’s about the quest for belongingness. It’s about the inter-class divide. It’s about the struggle for acceptance and survival. It’s about celebrating love in the middle of war.